I have never been a big fan of nail decals, I've tried quite a few now, but I just prefer to actually paint or stamp my nails - just personal preference. 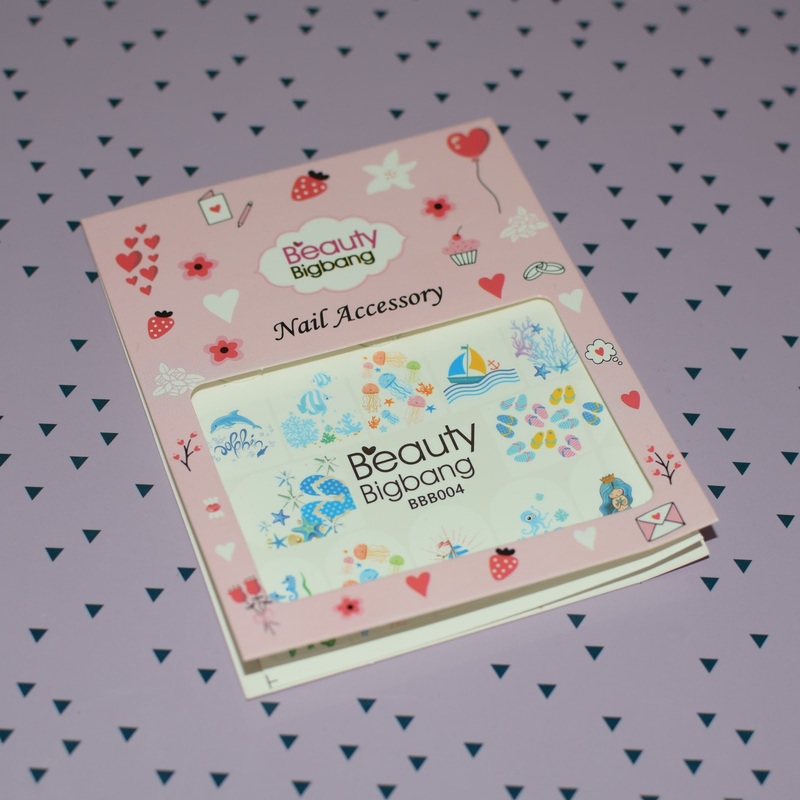 Even though I'm not the biggest fan, I do find them fun to use occasionally... and I recently tried these cute ones from Beauty Big Bang. Beauty Big Bangs do a variety of different nail decals, but I decided to try the mermaid/ocean themed ones (BBB004) - which are freaking adorable! There are a total of 12 designs, in a variety of different sizes to fit different size nails. The designs were quite a bit larger than my nails so would work for bigger nails. The background of the designs are clear, so it shows off a lot of the base colour you choose to use - I chose white. The only issue I had was them being a bit fiddly to start with. I messed up two are the start because I could quite place it on my nail property without the design sticking to itself. The stick well to the nail, but come off easily with nail polish remover. 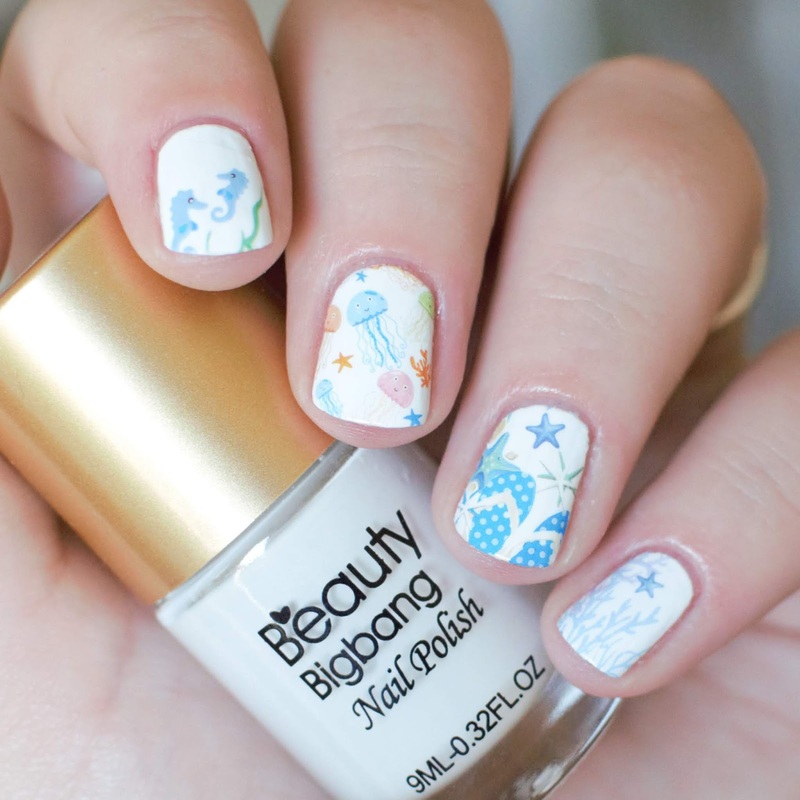 Overall these decals, although it took a few tries, went on the nail really nicely and looked super cute!! 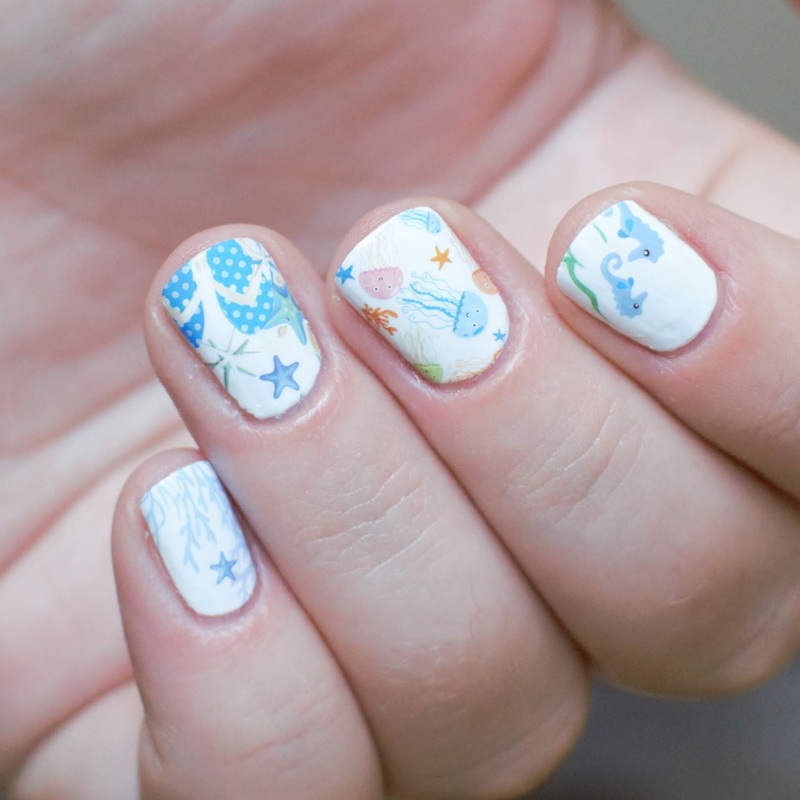 If you are a lover of decals then give these a try! !